Two teenagers, who were suspected of hacking the websites of Belgian and French newspapers last week, would have a court hearing, authorities said on April 17. 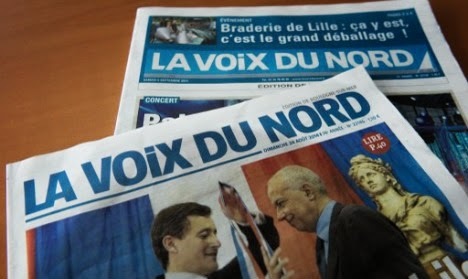 The websites of Le Soir, La Libre Belgique, La Dernière Heure, the Sudpresse group, the French regional publications, including La Voix du Nord, and Union de Reims and l'Ardennais, which sites were disabled during the attacks, were targeted. According to the prosecutors, five-year prison sentence will be given to those two teens, if the prosecutors find them guilty. Similarly, those persons will have to pay a fine of up to 100,000 euros and also to have to compensate for the damages. In a statement Brussels prosecutors said that the regional unit of computer crime managed to identify the two teens, who are 18 and 16 years old, behind the cyber attacks on Sunday and Monday. The hacking, which took place on Sunday evening, forced the Le Soir to close down its website for several hours. The Belgian media group Rossel and the Belgian group IMP filed a police complaint last week. The authorities carried out three raids in Belgium. During the raids, they discovered one address which linked to the attacks. An examining magistrate has been investigating the case. They will try to find out, if others are involved or not in the attacks, the authorities said. In a video by an anonymous group of Belgian, said that it had identified one of the teens as an adolescent who lives in Belgium and loves playing games. The group, which is said to be hackers’ group, said it shared information with the police as it was protecting freedom of expression.